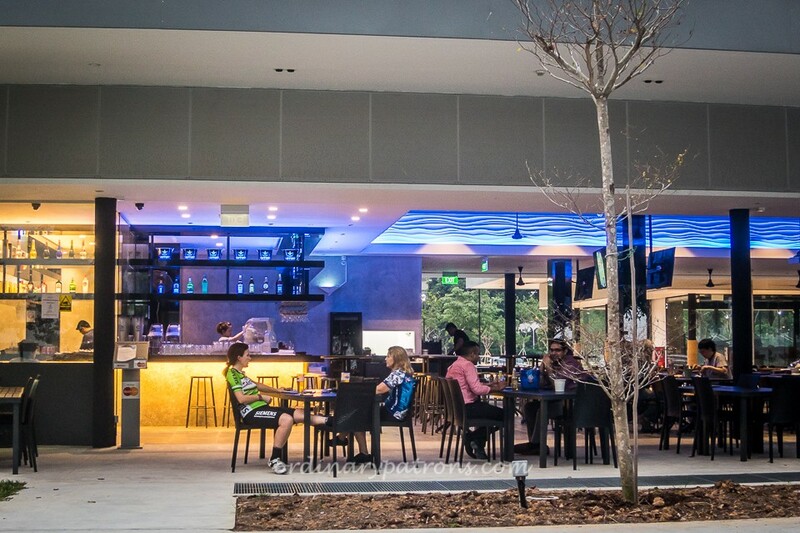 Atmosphere Bistro Bar at Parkland Green is a sports bar which also serves a mix of Asian and Western bistro food for dinner. The bistro is open for lunch on weekends. 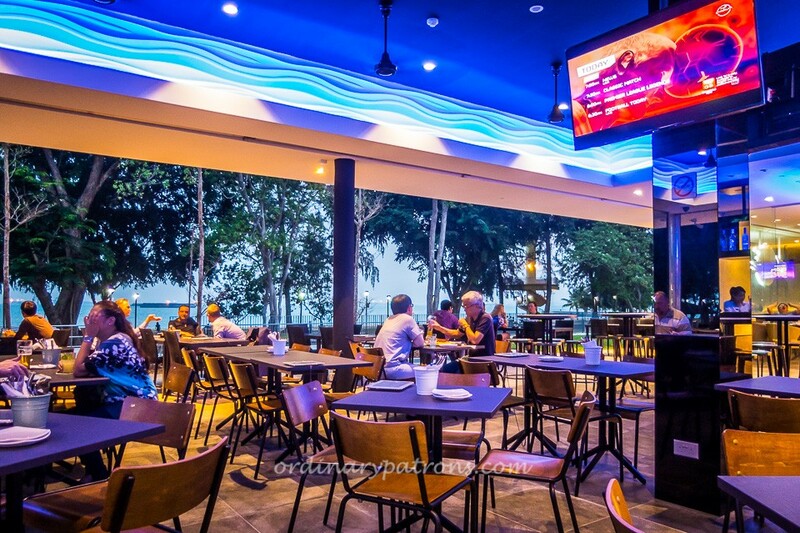 It offers a great view of East Coast Park and the sea beyond. Atmosphere Bistro has a small air-conditioned lounge. The main area is not walled up on three sides and there is no main entrance. You can just walk into the casual bistro and find your own table. 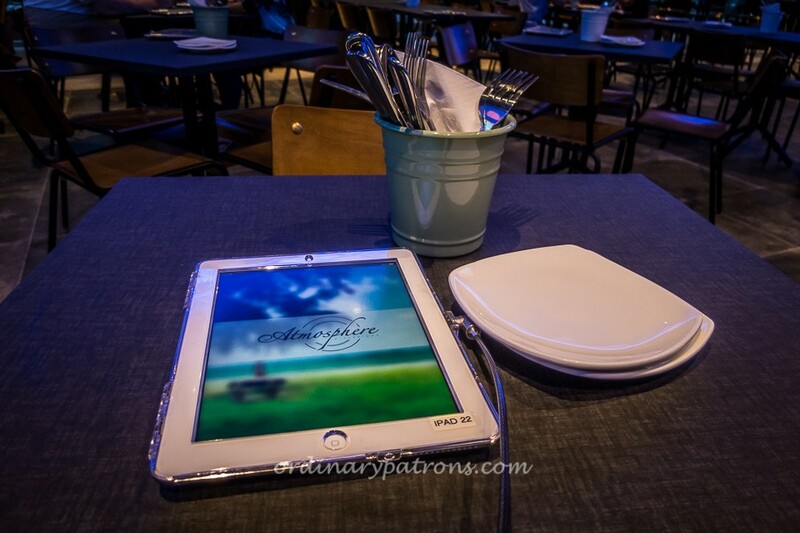 A tablet serves as a digital menu as well as an ordering device. There is a water station where you can help yourself to ice water. We went there for dinner and ordered a Creamy Mushroom Soup ($4.80), Mini Beef Burgers ($11.80) and Baby Back Ribs ($19.80). 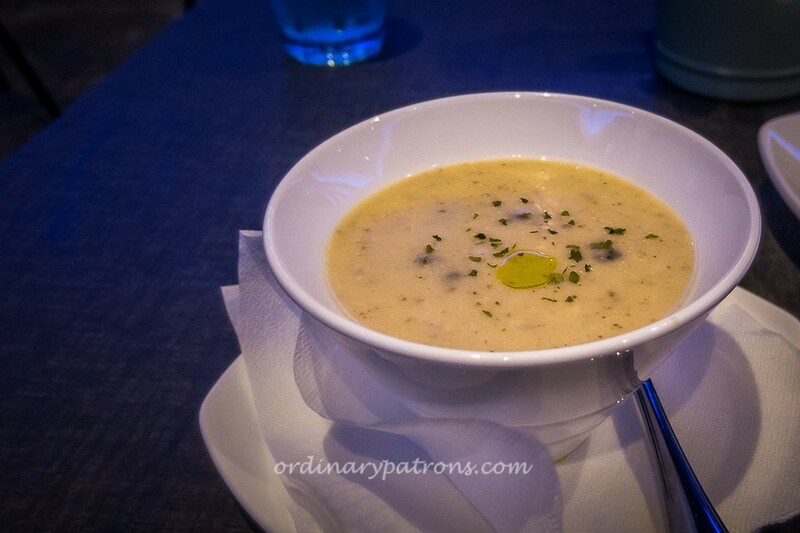 The soup was served almost immediately but we had to wait quite a while for the mains to come. The soup was thick, creamy and very good. 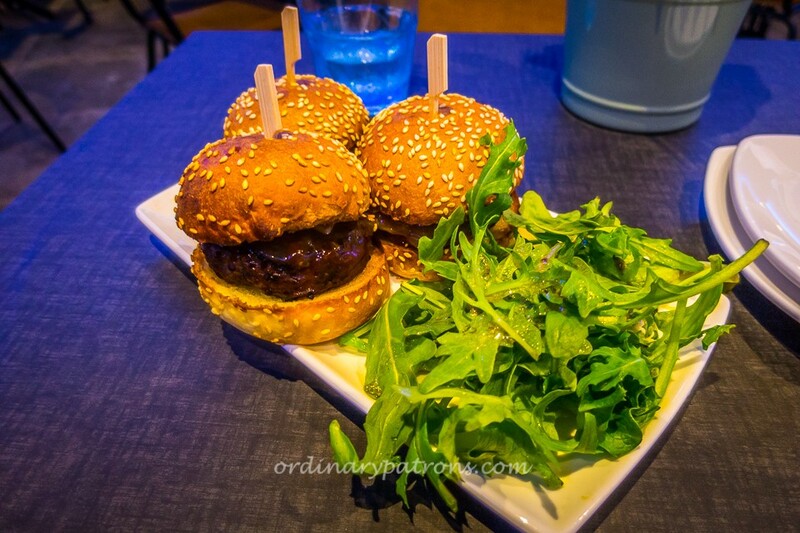 The 3 mini burgers with BBQ glazed patties had a nice zesty taste. 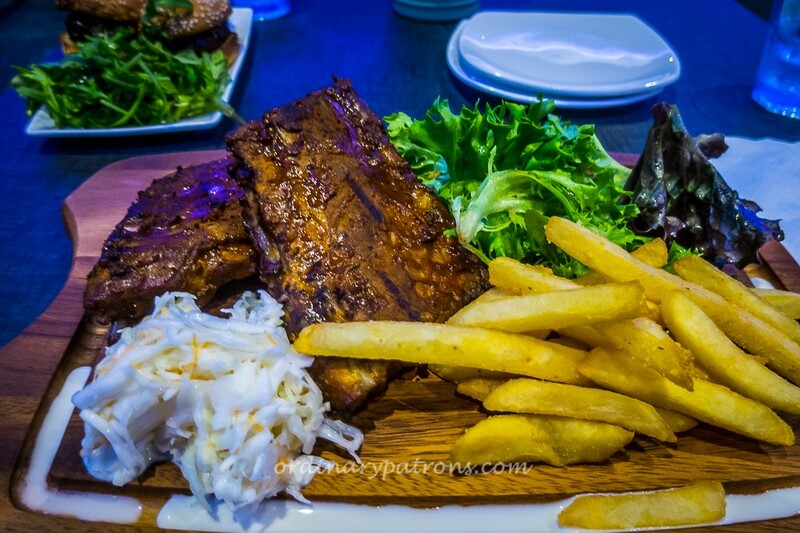 The glazed Baby Back Ribs came in a generous portion with salad, coleslaw and fries. The ribs were meaty and tender but the Citrus BBQ sauce was not quite to our liking. The sauce did not enhance the flavour of the meat. The fries with sea salt was most enjoyable. Atmosphere is first and foremost a sports bar. It is well equipped with TV screens and wall projector. It has an extensive drinks list – draught beer, bottled beer, frozen beer, liqueur, wine whiskey, cocktails etc. If you are neither a sports fan nor a closet alcoholic, there should still be enough options on Atmosphere’s menu to allow you to enjoy a visit to the breezy casual bistro by the park. fancyy menu! haha 🙂 the ambiance seems great too! sea view? yes pleaase! this is great! love the ambience and the food looks scrumptious! Thanks. 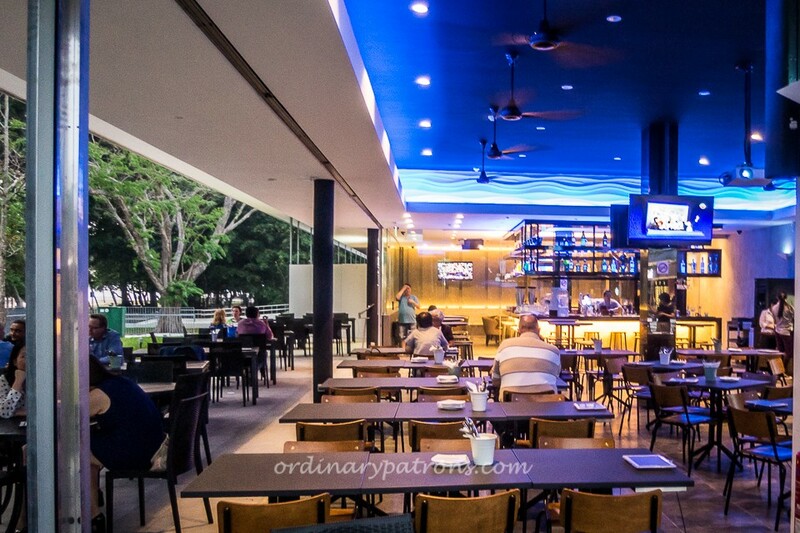 The idyllic dining in a park setting is certainly something to appreciate in urbanized Singapore.